The Annual Candlelight Vigil of Remembrance and Hope for DWI Victims Families and Survivors of Homicide will be held December 8 at 5:30 pm at St. Paul’s United Methodist Church. The Annual Candlelight Vigil includes a candlelight walk, loved ones remembered, survivors share their stories followed by a reception dinner. Family, friends and community members are invited. Donations greatly appreciated. Honoring Our Past. Creating Hope for the Future. 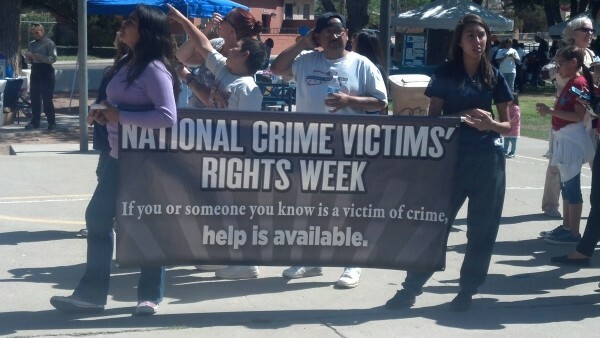 Each April, the Office for Victims of Crime (OVC) helps lead communities throughout the country in their annual observances of National Crime Victims’ Rights Week (NCVRW) by promoting victims’ rights and honoring crime victims and those who advocate on their behalf. Here in Las Cruces, a local Saturday event is held each year that has grown to include many agencies and non-profit victim advocacy groups, local youth performers and family entertainment.